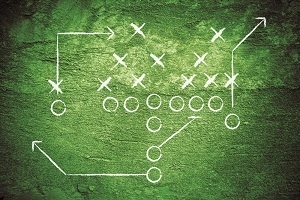 Football also includes strategy, particularly in the fourth quarter. Teams must have game plans ready to address a variety of circumstances – from holding onto the lead or running up the score, to coming from behind or running a 2-minute offense to win the game in a dramatic turn of events! Likewise, those of us in the COBRA and benefits administration games need fourth quarter strategies too. As the year winds down, we need to manage open enrollment, health plan changes and personnel changes. We need to make sure that we close the year with a win. What does winning look like in COBRA administration? Winning means that everything was completed on time, everyone got what they needed, and we are ready to end the plan year and move confidently into the first quarter of the New Year. Below are five COBRA administration tips to help ensure that you and your clients have a winning fourth quarter. Don’t forget to keep score! Comb through your lists of COBRA Actives and COBRA Pendings to ensure you have a good solid idea of your population before Open Enrollment begins. Make a list of your COBRA Actives and be sure to include them into your Open Enrollment process in accordance with your plan rules. Don’t forget to make a list of your COBRA Pendings (those who have been sent a notice but have not yet elected) to inform them about the new plans for the new benefit year. Remember, your COBRA Actives and Pendings can access the Healthcare.gov Open Enrollment from November 1, 2018 until December 15, 2018. Many of your Active/Pending COBRA members will likely be comparatively shopping during this time so be sure to give them as much accurate information as you can so they can make the best decision for themselves and their families. Once you have your lists of COBRA members, be sure to include them appropriately. COBRA active members would usually be included in any/all plan information prior to Open Enrollment so that the decisions they make to participate (or not) will be reflected appropriately for the new plan year. Usually, the premium dollars they owe will increase, they should receive new insurance cards (if applicable), and if you are billing them, they should be notified of the new premium amounts. As new COBRA Eligibles surface, do not forget to include them in the process. There are usually a good number of people changing jobs towards year end. When they leave, it always opens up their COBRA eligibility if they are participating in one or more COBRA-qualified plans, such as Medical, Dental, Vision, FSA, HRA or Voluntary. Once Open Enrollment is completed, be sure to notify the insurance carriers of all the changes for your population for the new plan year including your COBRA population. It is just as important to make sure that you have accounted for your entire population at the end of Open Enrollment as it was at the beginning. The list above is not all-inclusive; however, I hope it gives you some strategies to incorporate into your fourth quarter game plan. Surprisingly, many companies do a fantastic job with all of their open enrollment strategies but forget part (or all) of the COBRA strategy at year-end. Doing so can strain personal and professional relationships and could even result in some reprimands or fines. So, learn a lesson from football, and plan for all possible scenarios so your fourth quarter ends well. If you need help, there are plenty of folks like us who are ready to lend a hand. Once all of this has been accomplished, you’ll be ready to celebrate the holidays and cheer on your favorite teams during the playoffs or bowl games. Remember, as always, do your best. This article was reprinted from the November 2018 issue of America’s Benefit Specialist Magazine featuring our very own Robert Meyers.